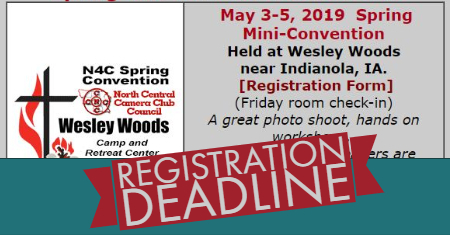 Do you plan to attend the N4C Spring Mini-convention at Wesley Woods? April 17, 2019 is the last day to mail your registration form to reach event organizers before the April 20th deadline. See the N4C website to learn more.